February 7th, 2019 - Does My Bomb Look Big In This? 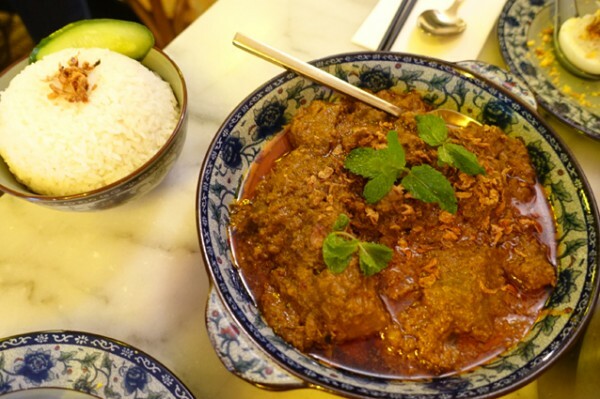 Ho Jiak Haymarket recently lured me back in for another look at their Rendang Wagyu Gu ($45). It’s a particularly great rendition of this popular curry, with great whole spice flavours, decent heat, and hunks of wagyu that split into long beef fibres without the need for a knife. While the price is high, takeaway containers are on offer, with the remainder making for a wonderful bonus meal the next day. Being a regular diner, known to the chef, did have a few advantages on this visit. Owner/chef Junda Khoo sent me out a couple of little items from his first-year anniversary dinner. I was most impressed with his One Bite Nasi Lemak, where half a boiled egg was topped with fragrant coconut rice, and other common nasi lemak garnishes like fresh cucumber, before being dusted with salted egg yolk. 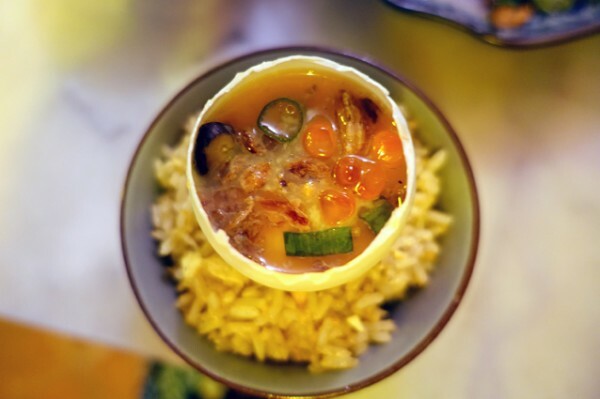 It’s served with a coconut-milk-based curry shooter that added all the other flavours of the traditional Malaysian dish. It’s an amuse bouche taken up to eleven, in true Junda-style. 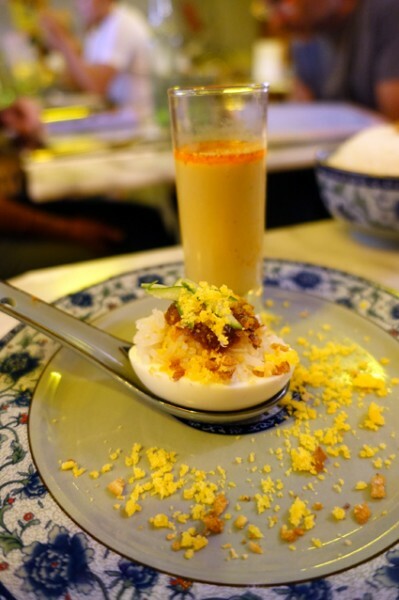 There was also a pretty snack he called Eggciting that puts sam wong dan – a steamed egg dish – inside an egg shell that is nestled into fried rice. It’s got a wild mix of textural toppings, including fried onions and fresh salmon roe. While I wouldn’t normally talk about dishes that the general public can’t order and eat (it seems grossly unfair), I was swayed by the fact that Junda is pretty egalitarian about offering up diner opportunities on his popular Ho Jiak Haymarket Instagram account. 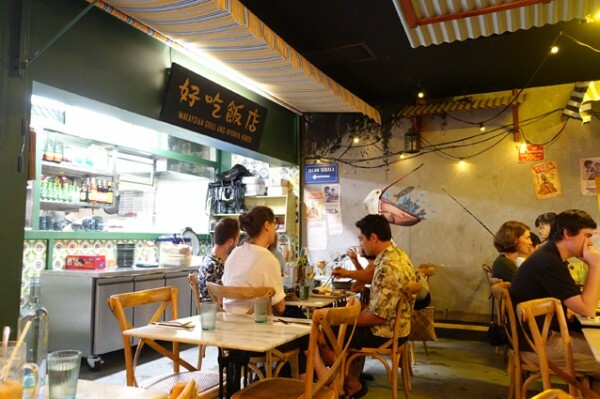 These dishes also help to illustrate where Junda Khoo is situated in Sydney’s dining matrix; doing for Malaysian cuisine what fellow Sydney rat pack chefs like Luke Nguyen did for Vietnamese cuisine at Red Lantern, or Dan Hong did for Chinese cuisine at Mr. Wong. 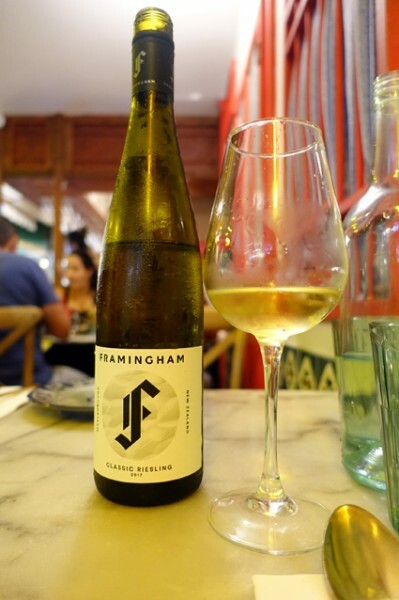 Junda also likes wine, and the 2016 Framingham Classic Riesling ($40) he has on his list here, is a cracker. You can quaff it like grape juice, and it doesn’t put a foot wrong with anything you choose from across this (hectically large) menu. Feeling like something a bit gentle against our rendang, I opted for a big bowl of King Prawn Char Hor Fun ($25). 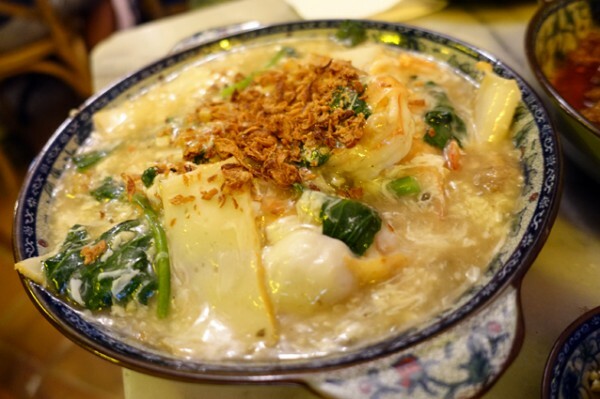 Underneath a silky egg gravy you’ll find dense, stir-fried flat noodles. The double-layer dish is topped off with two really tasty, creamy king prawns, and, as I suggested, it works wonderfully with the aforementioned wine. Despite eating two of Ho Jiak’s sharing size mains as part of a table for two, I threw in Coconut Rice ($4) (for the curry) and Belachan Kangkung ($20) because I really like my greens. 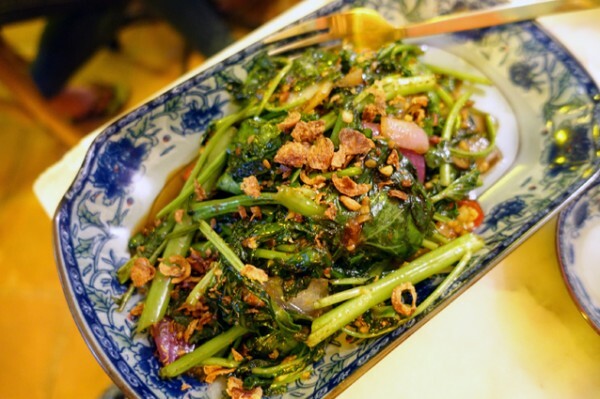 Luckily the water spinach stir-fry, made with shrimp paste and chilli, is equally delicious in the restaurant as it is eaten al desko from a takeaway container the next day. NOTE: You can read a previous review of this restaurant HERE or HERE.